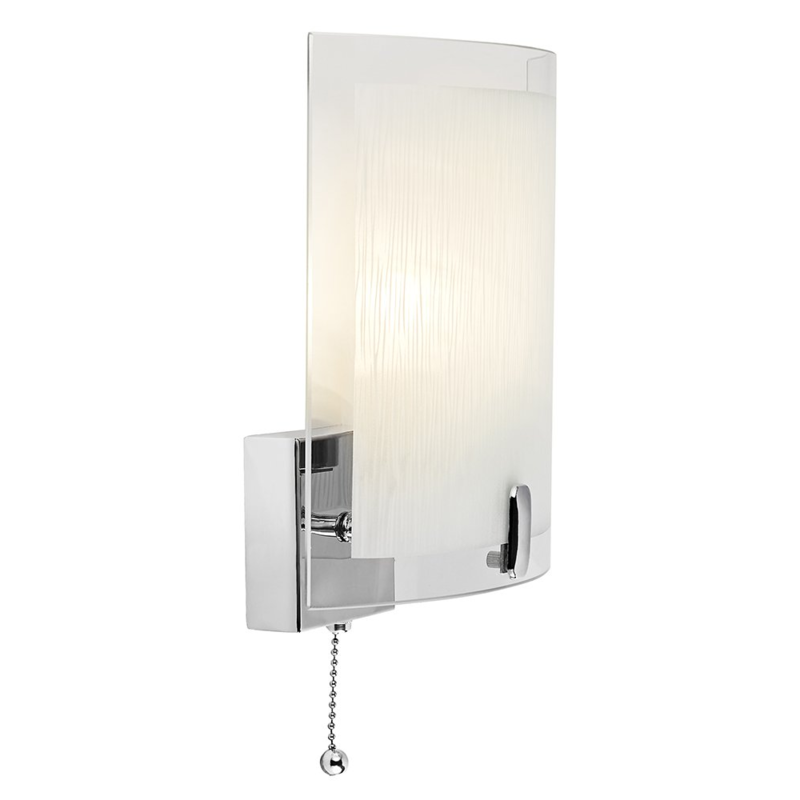 Modern and unique flush wall light fitting with chrome plated metalwork. 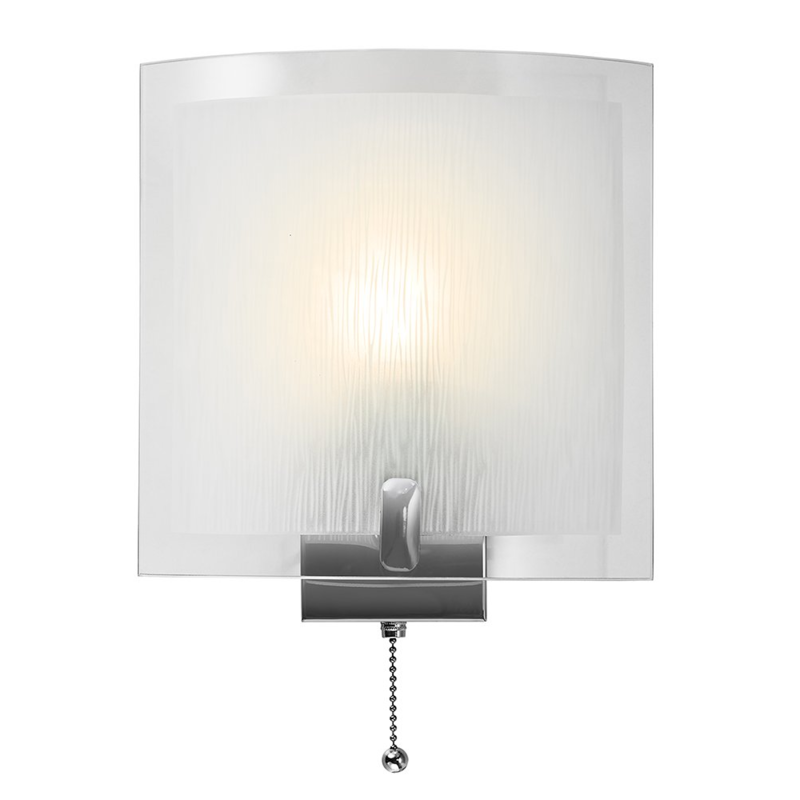 Includes square glass diffuser shade with transparent outer trim and wavy frosted inner. Dimensions: Height - 22cm, Projection - 10cm, Width - 22cm. Features chrome metal on/off pull switch button.